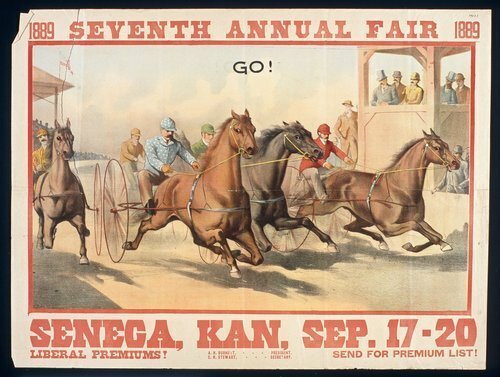 This is a poster for the Seneca fair. The main part of this poster is taken up by a large picture of a horse race. Also listed is information stating liberal premiums.